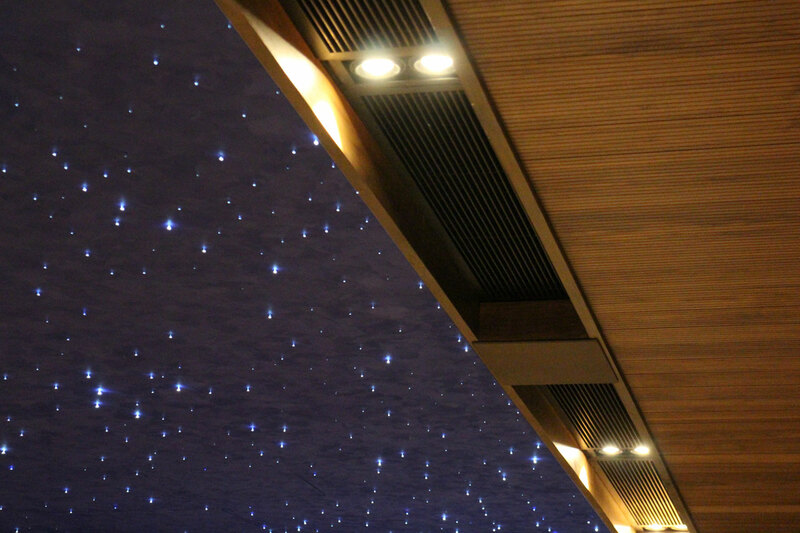 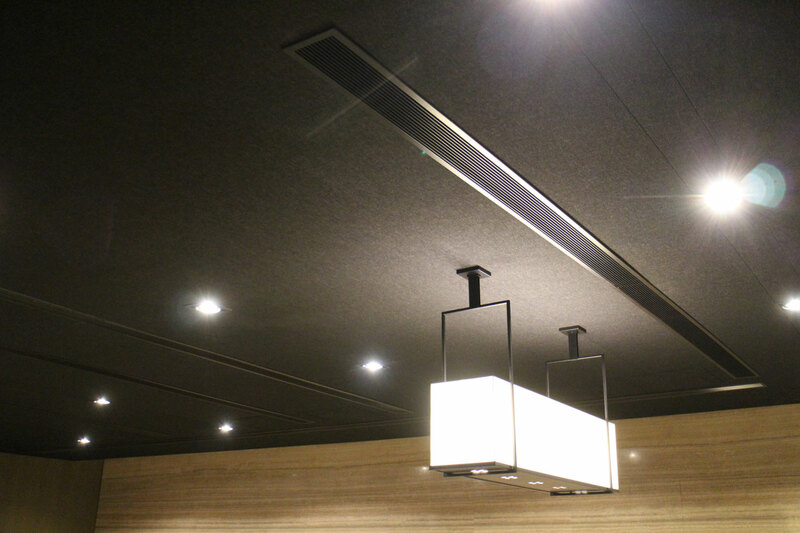 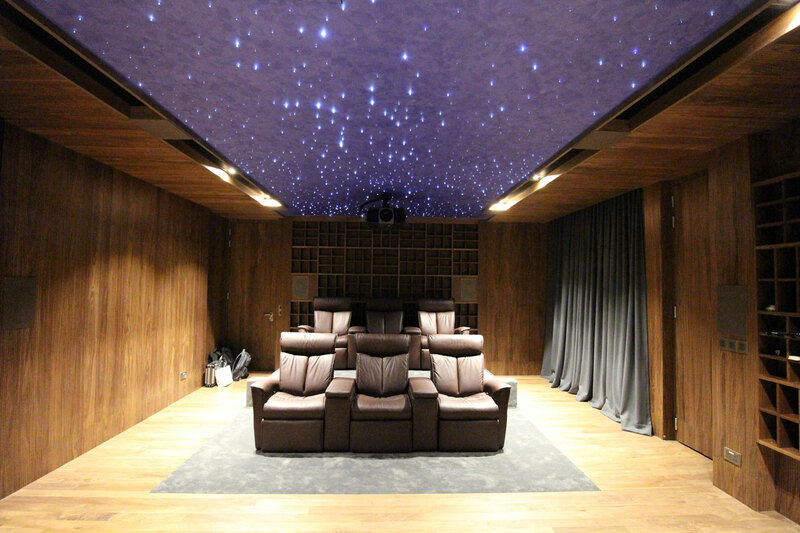 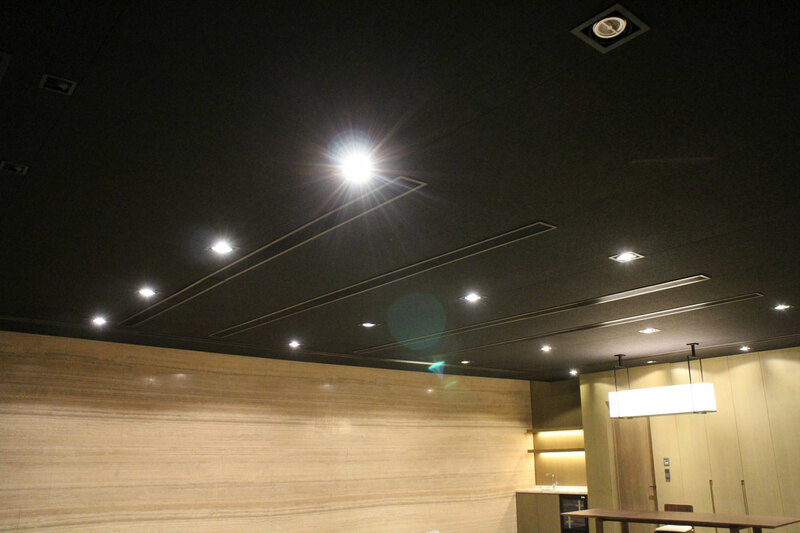 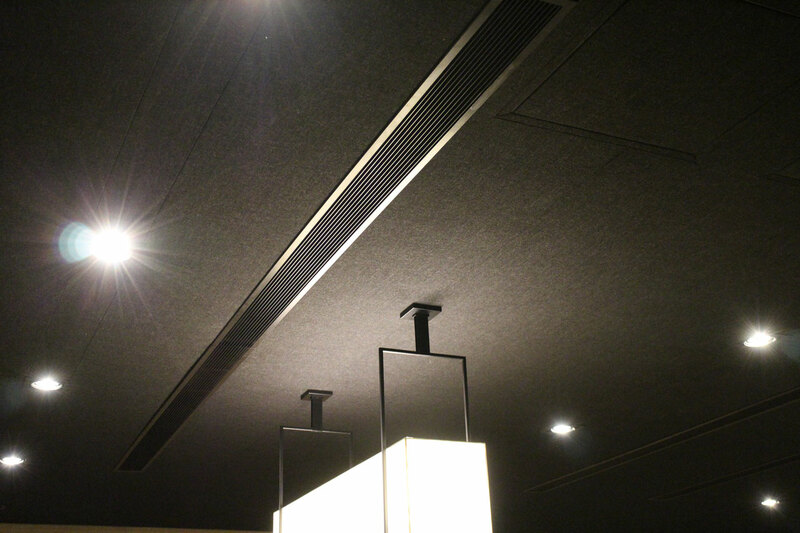 Timberix grooved panels with grooves 14/2, and black walnut and PU matte lacquer finish were installed onto the walls and ceiling of the theatre. 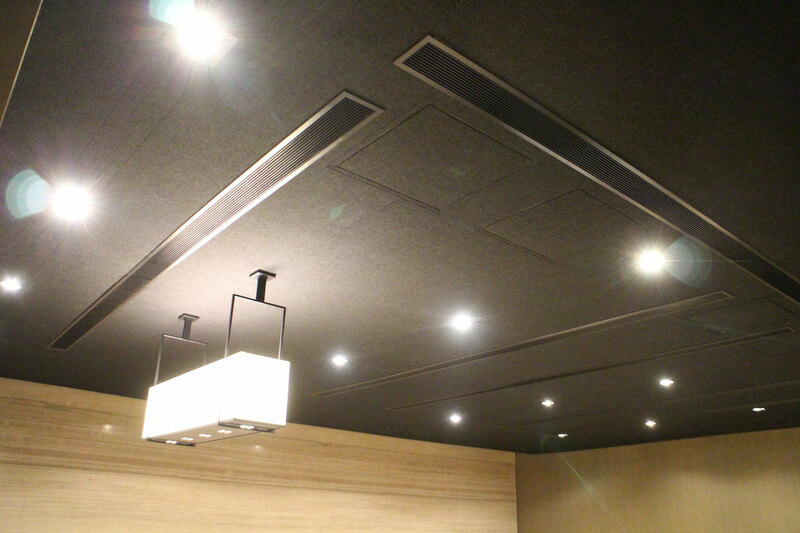 Fabrix acoustic panels were also cladded onto the front and dihedral corners of the room to achieve the required reverberation time. 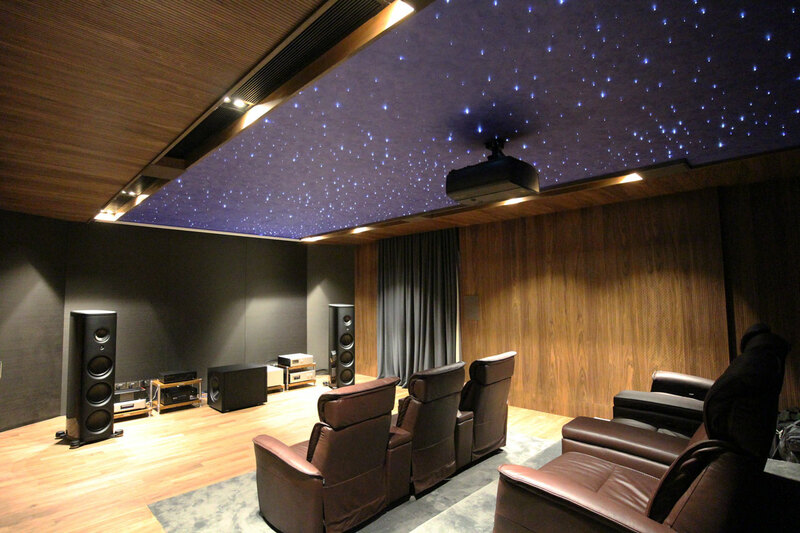 The residence located at Clementi in Singapore was designed to achieve acoustics specifications of Impact Isolation Class (IIC) 50, and Reveberation Time to decay 60 Decibels (RT60) time of 1.2 seconds. 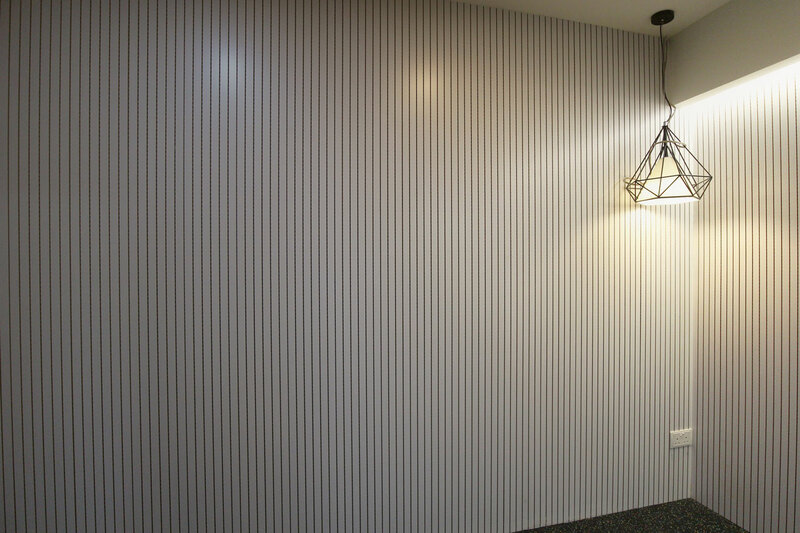 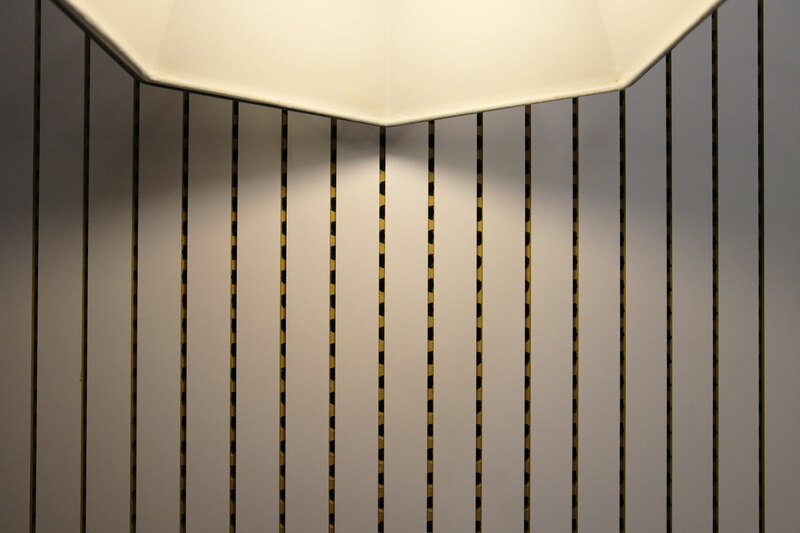 Timberix grooved panels with grooves 28/4, and white melamine finish were installed onto the walls of the residence to achieve the required reverberation time.